Open letter to the owners of Gracias Madre, Café Gratitude and Be Love Farm. It recently came to the attention of the Bay Area vegan community that you have started to rear and kill animals on Be Love Farm, and are selling their flesh. Gracias Madre and Café Gratitude are of the few restaurants that offer all-vegan fare and to see them move away from compassion has deeply saddened us. The justifications that people use to kill and eat animals are numerous, but ultimately they serve to maintain a psychological distance between the eater and the animal killed. The idea of accepting the circle of life is compelling, and is commonly used to allow one to eat animals while feeling that they are acting from a place of emotional, intellectual or spiritual maturity. Navigating nuance, accepting that life has its grey areas and that death is a part of life are certainly important. However, this is not what is happening with the circle of life argument. If you would not use this argument to eat dogs, cats, dolphins or gorillas, then it is not your real justification for eating cows. Instead, it is a deflection to avoid addressing the real question: what criteria are you using to draw a line between these animals? What is it specifically about farm animals that makes their bodies and lives ours to take? As to the notion that animal exploitation is a necessary part of sustainable agriculture: farming without domesticated animals is not only possible, it is more sustainable. In an agroecological approach, the justification for using farm animals is that they are part of a holistic, integrated system that is as closed as possible. One part of the system (i.e. manure) feeds into another part (i.e. soil fertility), which avoids producing “waste” or needing external inputs. The ecological impacts of such systems are taken to be far less damaging than those of large-scale industrial animal farming. While this is true, farming animals is still more resource-intensive than solely farming plants; a larger surface of land is needed to feed the same number of people when farm animals are added to the system. 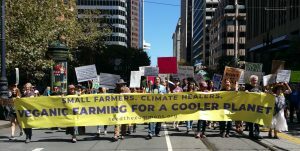 In the midst of today’s consumer and grassroots food movements, the idea exists that one has to choose between industrial and sustainable animal agriculture, or between synthetic fertilizers and manure. This is simply false. As the Huguenot Street Farm website puts it, “There is no ‘magic’ that goes on inside the animal that makes their manure better for the soil or plants than if we used the base material”. 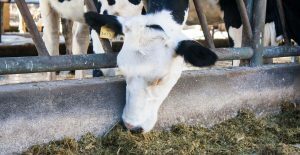 Manure simply contains recycled plant nutrients—it is more efficient to use these nutrients without passing them through a cow’s digestive tract beforehand. When people say that farming cannot be done without the poop of farm animals, what they are effectively saying is that the only real way to farm is the European way. Cattle were brought to the Americas with colonization; indigenous agricultural systems did not use domesticated animals. 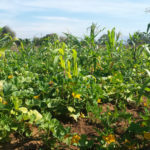 The milpa system in Mesoamerica, based on corn, beans, and squash, still exists and requires no animal inputs, nor did it ever use draft animals. This system is so efficient that before colonization, it fed what was likely the densest population on the planet at the time. And yet even on colonized American land, the European model continues to be seen as the only possible one, as other models continue to be erased. 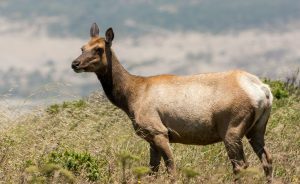 Cows and other farm animals have been wreaking havoc on American landscapes and wildlife since long before industrial agriculture came into the picture. Old world farm animals were central to the colonial project and to the ecological transformations of North America, which are ongoing and include the disappearance of native wildlife. Yet, they are celebrated by a food movement devoted to resisting the corporate colonial usurpation of our food system, showing how deeply Eurocentric we have become in our representations of food and agriculture. Some currents of the food movement are presently going a step further: cattle are being promoted from a default part of agriculture to the saviors of our landscapes. The belief, popularized by Joel Salatin, is that grazing cattle in the US, where they are an invasive species, is vital to “healing” American soils and ecosystems. You echo this in your comments about regenerative farming. I encourage you to read about the history of ecological imperialism, and about the ways that dominant cultures erase other cultures and realities while creating narratives that paint themselves as saviors. 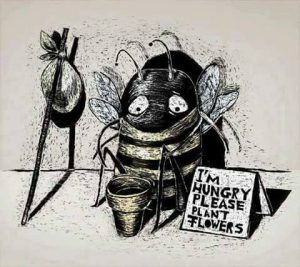 Farming animals is not loving or kind, and to sell it under the guise of healing the Californian environment is doubly cynical. There exists a compassionate, organic alternative to animal exploitation: veganic farming. Veganic farms eschew both synthetic and animal inputs; this is both possible and better for the environment. There are many successful veganic farms and gardens in the US and abroad, proving that veganic methods are effective. In California, Woodleaf Farm has been veganic for more than twenty years. In 2012, it was recognized with a Steward of Sustainable Agriculture Award at the 32nd Annual EcoFarm Conference. Helen Atthowe, one of the farmers who until recently owned Woodleaf, explains here why she uses veganic methods and what some of those methods are. Another local farm paving the way for a more compassionate food system is Lazy Millennial Farm, a veganic farm based in Salinas. Lazy Millennial Farm is launching a veganic CSA in the Bay Area this July. Atlanta already has a veganic CSA and numerous lush veganic urban gardens started by Grow Where You Are. Across the country and world, farmers and gardeners are successfully growing food without animal inputs or synthetic inputs. Veganic farming is not commonly spoken about but there are some excellent resources for those interested in getting their hands green. Read Will Bonsall’s Essential Guide to Radical, Self-Reliant Gardening, watch Helen Atthowe and Carl Rosato discuss how they mimic nature, or take a vegan permaculture design course in Kentucky this summer. I urge you to learn about veganic growing methods and embrace a new model on Be Love Farm: one that eschews cruelty towards the animals we label as food, and one that is more kind to the California land, fauna and flora amongst which you have been blessed to live. San Francisco-based activist, writer and co-founder of Seed The Commons.